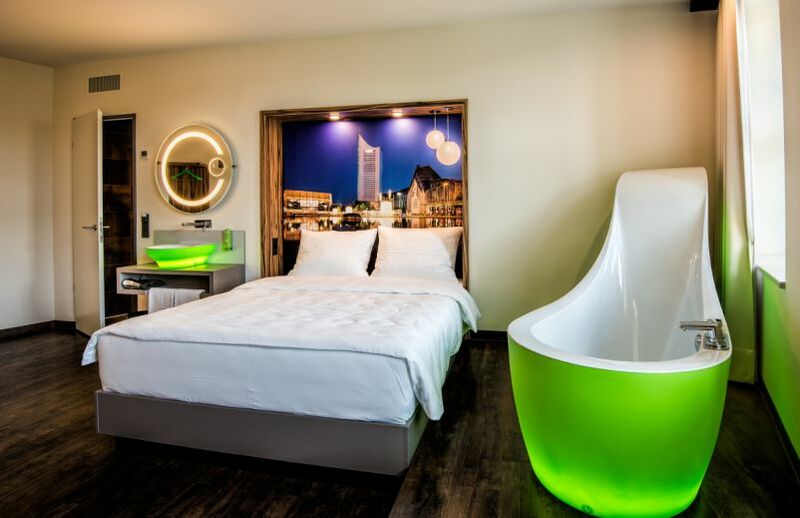 Welcome to our brand new Travel24 Hotel located within the former world’s largest trade fair building. 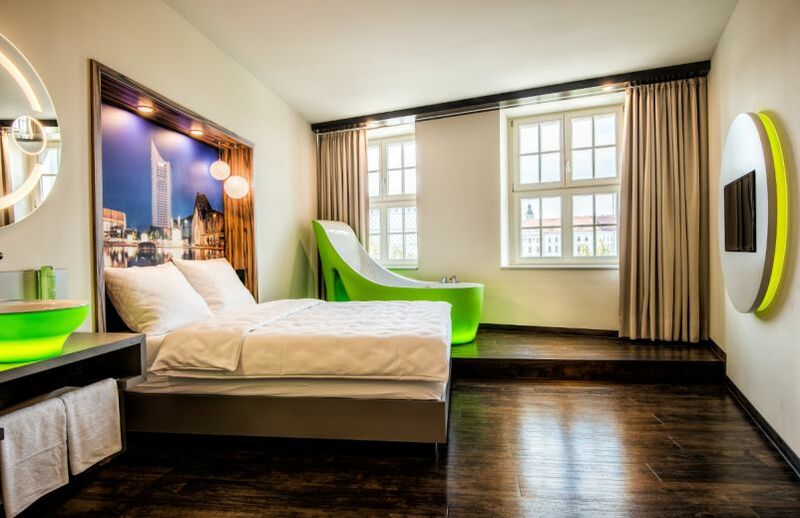 On business travels or simply city hopping our central location in the heart of Leipzig is your perfect starting point to easily get around the city. Enjoy a variety of restaurants, bars, cafés and shops within the immediate vicinity of the hotel. Experience trendy design, fresh colors and high-quality materials. Sleep in cuddly blankets and on mattresses you actually find in five star hotels.